13 Brilliant Tips for Getting the Most Out of Invisalign! If you have crowded, rotated or spaced teeth, Invisalign may be the best treatment to straighten your smile out. A series of computer-generated, invisible plastic aligners are used to move teeth over a period of time, to their ideal position. The process is often used instead of braces, and it causes less discomfort. Best of all, you won’t feel self-conscious- the aligners really are virtually invisible! Take care of your Invisalign aligners, and they will take care of your teeth! 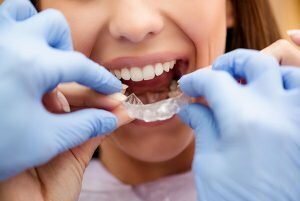 Alex Bratic Dental is happy to offer a couple tips and tricks in order to make sure Invisalign does what it is supposed to do and straightens your teeth as quickly as possible. Floss daily – With Invisalign, flossing is more important than ever. Invisalign aligners hold any food or plaque that’s left over after your cleaning routine right up against your teeth, while preventing saliva from doing a lot of the cleaning work it normally does. So thoroughly clean between your teeth with floss every single day. The first 48 hours are key – For the first two days of each aligner tray, you should keep the aligners in place as much as possible. You should always wear your aligners for 22 hours a day, but this is twice as important during the first two days a set of aligners is in your mouth. Wear Invisalign 22/7 – Invisalign only works if you actually wear the trays for most of your day. If you do not wear them at least twenty-two hours every single day, then you are less likely to get fast, positive results from Invisalign. Change your aligners on time and in the right order – Basically, this means following the advice of your Alex Bratic Dental dentist. Keep tightly to the schedule. Never leave an aligner in longer than scheduled, or move to a new aligner before you are instructed to. It may feel odd at first, but you get used to aligners – Many of our patients say they can feel the aligners, especially during the first couple of days, push against the teeth. Because you wear your aligners all day, every day, you will notice the feeling less and less. The speech “learning curve” can be steep. – When you first put in your very first aligner, you may notice that you speak with a lisp. The best way to get rid of this is to practice talking with the aligners in place and you’ll quickly get used to them. Most people will not notice your aligners. – One of the biggest worries of those who use Invisalign is that other people will notice. But most people don’t notice Invisalign, and Invisalign is much more inconspicuous than traditional braces! Don’t be afraid of Invisalign attachments. – Many people get what they call “buttons” to help speed up their treatment. These help to hold a tray in place or move a tooth, etc. These can speed up treatment and straighten your teeth faster. Clean your aligners carefully. – The best way to clean your Invisalign trays is with warm water and antibacterial soap. There are also proprietary cleaners, but soap and water usually does perfectly fine. Do not use toothpaste, as this will scratch the plastic and create places for bacteria to live. Stick to the dietary instructions that Alex Bratic Dental gives you. – Drink a lot of water. Some patients produce a lot of extra saliva (the mouth is trying to clean out the obstruction it feels), and become quickly dehydrated. Alex Bratic Dental will explain what you can and cannot eat with the aligners in—follow these rules for the fastest treatment. Keep your mouth extra clean. – The aligners can hold plaque and bacteria against your teeth. Make sure your brushing and flossing routine are perfect to ensure that you don’t have tooth decay or cavities during your treatment. Use a whitening toothpaste. – Many Invisalign patients find that whitening toothpaste is more effective during treatment. This is because remnants of the toothpaste, both the fluoride and the whitening substance are held against the teeth by the aligner, instead of washed away by saliva. Use your retainer properly. – Use your retainer as instructed by Alex Bratic Dental. You will be given a schedule for retainer use and should follow it closely. Don’t miss your follow-up appointments and follow any instructions we give you! Your Beenleigh dentist will work with you to create a custom-designed program that will address your specific orthodontic issues. 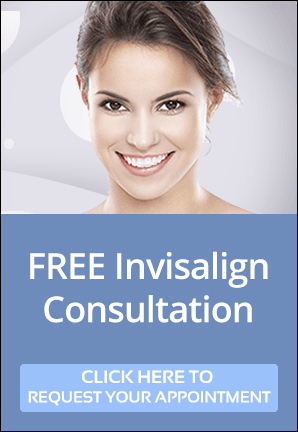 At Alex Bratic Dental Care, we offer FREE Invisalign Consultation. To see if Invisalign is right for you, book your free Invisalign consultation now or call us on (07) 3287 2627!